Practice dropping out of your mind/lower mental focus and into your body. Bring your awareness to your body by noticing your breathing and/or noticing the physical sensations of your body parts. Once you are in your body, acknowledge and name what you are feeling. What you are feeling is different from what you are thinking. For example, ‘I am feeling angry”, is different from “I wish I could have seen my friend before he left; he didn’t say good-bye”. Then ask yourself what you need; what is it that you want that you feel you are not getting? You may feel that you want assurances he will call you in the next day. Feeling deeper into that you are perhaps looking for security. Security is your need. Check in again as to what you are feeling. In this example, you may come to realize that your anger is really fear. This realization alone now brings you into relationship with yourself. Rather than bolstering the ego by staying in anger, you create the space to settle into yourself and compassionately witness what’s occurring within you. This self-responsibility also frees you from blindly blaming another person for your dissatisfaction, or looking for the fulfillment of the need outside of yourself. When you are in touch with your own feelings and needs you now have the space to also see the other person as human too, with their own needs. Notice when you are holding the image of another person as your enemy. Be willing to see them for who they truly are; divine consciousness having a human experience that is not always easy – just like you. Drop the labelling of people, whether you do this overtly or in your mind. Examples: “he’s a know-it-all”; “she’s a liar”; “he’s selfish”. Behind these labels are your own fears about your shadow. When someone is being difficult, acknowledge that they are trying to meet some inner emotional need. They are doing that in the best way they know how in the moment or they would be choosing some other way. Don’t take it personally. Notice how often your ego satisfies the need to bolster itself by creating conflict and therefore separation. It can take many forms: frustration, irritation, complaining, judgment, expectations, blaming, defensiveness, unforgiveness, self-doubt, etc. When you and another person are in conflict, each of you is attempting to meet your own needs. Tension arises when your ego holds the fear that you will lose and have to give something away of yourself. Instead, try to see it differently: consider what you can give. My services can be of assistance to you to help free you from your ego wounds that keep you looking externally to meet your inner needs. Integrating multi-dimensional clearing of your Divine blueprint, energy psychotherapy, thetahealing®, and healing vocals. Specializing in clearing stubborn patterns. 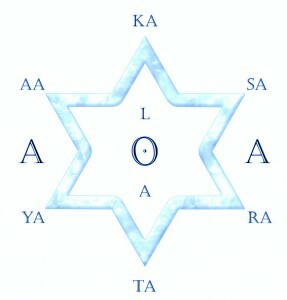 The AoA Hieros Gamos System is ideal for Starseeds, Indigos and Lightworkers who are committed to fulfilling their Highest Purpose in this ascension timeline. Appointments are available in person or over the phone.